#4 – Why any child would come within 50 metres of the lap of this lapin, is beyond me. Wrong, wrong, wrong! 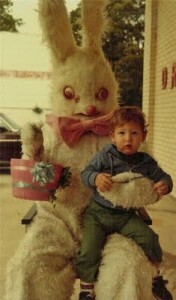 #3 – Could the eyes of this loveable animal be any more threatening – absolutely not. 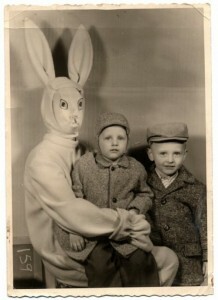 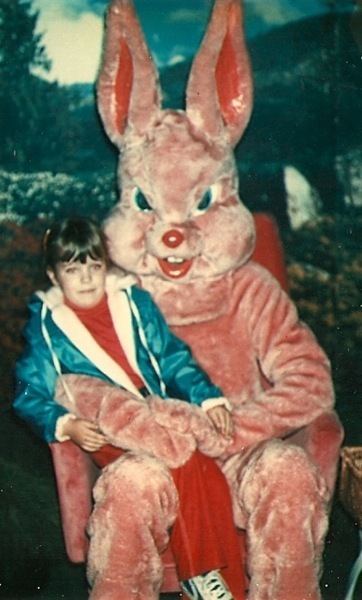 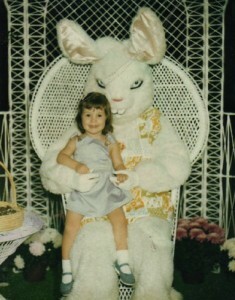 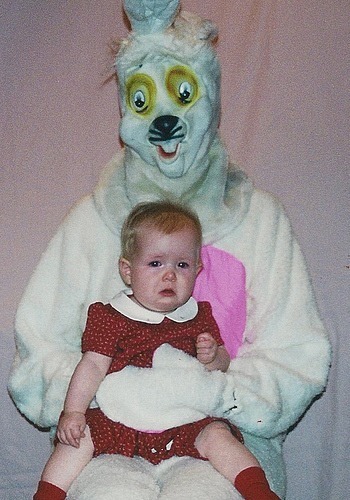 #2 – Even in the ‘good old days,’ oversized rabbits in a catatonic state were just as disturbing.